“Write from the heart,” the experts say. Many thoughts come to my mind as I ponder the question “What do YOU think the future of Civil War History will be?” Regularly, excitement drives me to the library (or to the “dangerous action” of buying books), well-written articles thrill me, and my family has been exposed to rapturous moments when I’m “oversharing” about a new book or idea. Looking ahead and trying to predict where historiography might go in the next decades presents many positive aspects of research and perspective, but a dark cloud looms on the horizon. Perhaps I am only fear-mongering, but I must answer the question from the heart and share one of my concerns for the future of historical studies and education. We are losing our respect for the past. I know, that statement seems impossible. Every year new Civil War history books hit the shelves. Historical sites and battlefields are still visited with quiet awe. 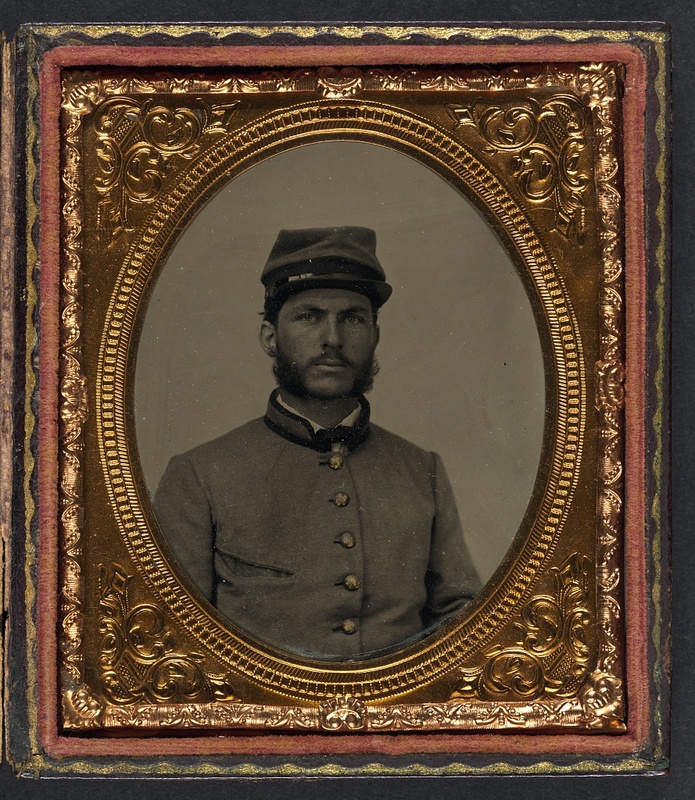 People spend hours researching their genealogy and enjoy sharing their connection to common soldiers or heroes from the 1860’s. And, of course, new scholars continue to join the ranks of historians researching, writing, and teaching the history of America’s most costly conflict. How is it possible that we are losing respect for the past? A Soldier from the 8th Georgia Infantry. In the future, will historians respect and try to understand his worldview and beliefs? First, it is becoming more challenging to understanding the thought processes of the mid-19th Century. Secondly, there is pressure to conform to various agendas. Thirdly, it is becoming acceptable – perhaps even expected – to apologize for the past. Society changes. Historians know this, but do they chose to truly remember it? World history is the record of the rise and fall of empires, rulers, and various philosophies. (Certainly, some things remain constant – good and evil, for example.) Most people will agree that America has undergone many significant changes in the last century and a half. One significant – and often overlooked – area of change has been in the worldviews accepted by American society. In the mid-19th Century, faith – usually based in some denomination of Christianity – shaped their worldview. 20th and 21st Century society has diversified, and numerous worldviews have become accepted. This creates a challenge for historians whose worldviews may be vastly different from those promoted in the 1860’s. For example, can an atheistic researcher lay aside his/her philosophy to accept that religion and Judeo/Christian heritage played a major role in a Civil War soldier’s life? Or will he/she suppress those religious elements, forcing a primary source document to fit into a modern worldview? Pressure to conform is commonplace in the modern world. From elementary school to college and the workplace, people are expected to follow rules. Some are for safety, others for control of the mind or actions. With the plethora of worldviews, numerous philosophies have also made their way into history studies and interpretations. 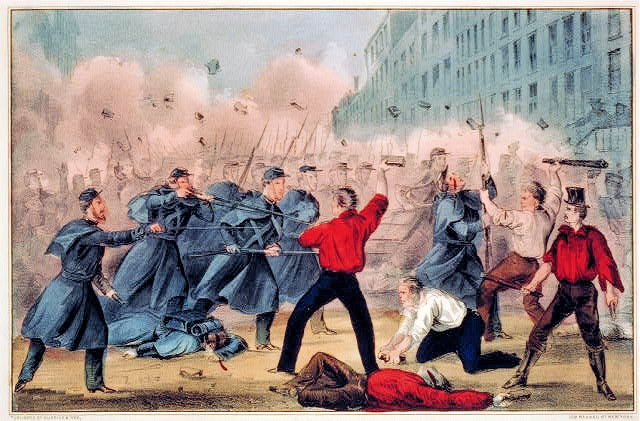 While many of these research projects have valid goals fitting into a modern philosophy, it is wrong to impose that viewpoint on the people of the Civil War era, holding them up as a supposed example of an ideal they may not have espouse. Conversely, there are attempts to make historical figures or primary sources conform to what has been arbitrarily deemed socially or historiographically acceptable. With diverse worldviews and pressure to conform, historians are in danger of surrendering their mission to understand and teach the past in its proper context. They begin to apologize for historical facts. Certainly, there were great wrongs – socially, ethically, morally, politically, perhaps even religiously – during the Civil War era, but why do we need to apologize to a modern and supposed “enlightened and diversified” audience? Historians should be able to make it clear they are not advocating in favor of the unsavory details of the past and wishing to re-institute them, but they must be allowed to research, write, and teach about those very events/ideas/actions. If they are not permitted to fully explore the past – seeking to discover what people thought and how it caused them to act – there will be a significant gap in our understanding and teaching. A gap caused by society’s demand for conformance and a complete rejection of 19th Century worldview lens as a way to put history in its correct framework. In the future, how will historians interpret events in the past? Will they use the events to enforce an agenda or tell the complete truth? Historians cannot make heroes of imperfect human beings. (And, let’s be honest, we’re all imperfect.) They must understand the flaws and the triumphs of historical figures. They must try to appreciate the worldviews, societal norms, and culture of the past – placing historical people and events in their proper setting. Ironically, the 21st Century societal pressures to conform, apologize, and sweep aside awkward facts is imposing an “un-liberal” view on history. Historians should seek to understand the past in its context, not necessarily agreeing with the values and actions, but not apologizing. Historians are not judges. They should be discerning, but they must seek to understand why and what happened in the past. One day, history will consume us, taking us into its record. Scholars in the future may scan our diaries, read our emails, and riffle through our clothes. Do we want them to accept and try to understand our thinking, our worldviews – humanism, atheism, Judeo-Christian, etc. etc. etc. – or do we want them to merely slap the most recent philosophy of the 23rd Century on their interpretation of us? Humbling thought, indeed. We are losing our respect for the past as we research, write, and teach history through modern worldview lenses, as we bend to the pressure to making history acceptable to 21st Century “sensibilities,” as we apologize rather than seek to understand. This is a battle. Every generation of historians has a choice. If history continues to be conformed, suppressed, and viewed through lenses far different than those accepted when it was first enacted, we will lose the ability to learn anything except a modern agenda. And if we cannot learn from the true triumphs and mistakes of the past where will we be? The answer chills my heart: blindly educated. I think it’s important to remember the difference between respect and empathy here. I tell my history students that in our classes they’ll hone their ability to empathize with others–that is, trying to understand the thought processes of historical actors and better understand why they said and did as they did. Respect, on the other hand, implies a deep admiration (yes, I googled the definition). Patton Oswalt in one of his shows (admittedly not a scholarly source!) said it best in my opinion: you don’t have to respect everyone’s beliefs; you just have to acknowledge their right to believe whatever they believe. I’m not as alarmed as you about the future of historical study, at least not for the same reasons. “Pressure to conform is commonplace in the modern world.” That was just as true–if not more so–in mid-19th-century America. Otherwise there wouldn’t have been a “gag rule” in Congress prohibiting petitions on slavery, or destruction of abolitionists literature in the mails, or the Know Nothing movement attacking Catholic immigrants, etc. “Conversely, there are attempts to make historical figures or primary sources conform to what has been arbitrarily deemed socially or historiographically acceptable.” This has also been true from day 1 of historical study. Look at what the Dunning school did with the sources on Reconstruction. What mainly alarms me is when people adopt a pretense of unbiased scholarship when they clearly want to assert a particular modern viewpoint. I have written my first book based on my ancestor’s letters written from 1859 through 1872. He was a Captain in the Confederate Army. He was captured at Gettysburg and wrote many letters from Johnson’s Island. The letters are the basis of my book. These letters tell the story of the times and the war. I feel lucky to add to Captain Corker’s writings. Corker was a lawyer and a good writer. I look forward to sharing a window into the past that will certainly not be twisted to today’s modern viewpoint. Mrs. Bierle has raised an important point. A great many historians today practice :presentism,” using the standards of today to judge the past. This approach makes no attempt to understand the standards of the past and can only reach one conclusion: the people of the past are wrong because they are not us. This means contemporary points of view become a substitute for scholarship and empathy for the people of the past is lost. Unfortunately, “presentism” has become so prevalent that its adherents even go so far as to attempt to silence those who use empathy in looking at the past. The same thinking applies to much of what passes for public discourse on current topics, especially in academe: The people who disagree with us are wrong because they are not us, and they must be silenced. We can set an example by promoting empathy for people of the past, which could encourage more open mindedness in the present. I think we need to be careful making blanket statements about respecting the past. While indeed there is pressure to remain politically correct, I would argue this pressure has been constant and it is up to historians to work around this pressure while still churning out interesting, poignant works. Well, I hope historians will work around this pressure but try getting a promotion or tenure if you are a contrarian to the accepted majority view. You hit the nail on the head! We ARE losing our past! Instead of trying to white-wash what has happened, we need to embrace the past (the good, the bad and the ugly) and work to continue moving forward! Removing monuments, rewriting what has happened, and trying to change what has happened is only going to destroy the history that is here. Did terrible things happen?? YES! But good things happened to. As we move through the history, of not only the Civil War, but the entire United States, even from its beginning, we have to ensure that students understand ALL of it, not just bits and pieces. It is okay to think outside the box, and even challenge some notions, but not everything can be changed to fit the modern view point.